Does the Clear TV Antenna Really Work? Kind of! Does the Clear TV Antenna Really Work? Kind of. This is my review of Clear TV, a product which has been advertised on television and online continuously since 2013. While Clear TV implies they hold the secret to free HD programming, there is another secret many consumers don't seem to realize. Here is my revised review of Clear TV for 2016. Note: If you’re looking for my review of the follow-up product called Clear TV Key, see that review here. I was never much of a fan of the original Clear TV commercials, because they gave the impression that the product provided access to something special, which it really doesn’t. Take a look at the popular Clear TV commercial which blanketed the airwaves back in 2013 and early 2014. Receive “hundreds” of crystal clear digital and HD shows for FREE. Notice they put “hundreds” in quotes? That’s because how many shows you receive is based on how many over-the-air signals are in your area. Save $1,000 a year by switching to Clear TV. This really isn’t as much of a “switch” as it is simply canceling your cable and putting up an antenna. So wait – this thing can replace my cable box? The commercial is tantalizing: All those crystal-clear HD channels for free. Who wouldn’t want that? Well the thing is that they’re already free, and Clear TV doesn’t actually bring anything special to the table. In fact, the “secret” behind Clear TV is that it is simply a television antenna, no different than a pair of cheap rabbit ears sold at Radio Shack – different only in its design, but not in its function. Clear TV can mount as a free-standing antenna, mounted via suction cups onto a window, or mounted on a wall. You’ll see the price of $19.95 plastered all over the Clear TV website and advertisements, but when you throw in another $7.99 for shipping, the real price is $27.94. If you take advantage of their “get another free for additional shipping” (bad idea, by the way), it ends up costing you $35.93. A Clear TV Plus has been added to the website (although it is listed as Sold Out). That model is $35.93 plus $7.99 shipping for each of the BOGO antennas. In comparison, I spotted a cheap set of rabbit ears for about $5 at Walmart, and a nice pair for about $20 at Fry’s. Is Clear TV Available in Stores? Clear TV is available in stores for about $15. I’ve seen the product in multiple locations such as KMart or As Seen on TV stores. Look in any As Seen on TV section, and you’ll likely spot one. 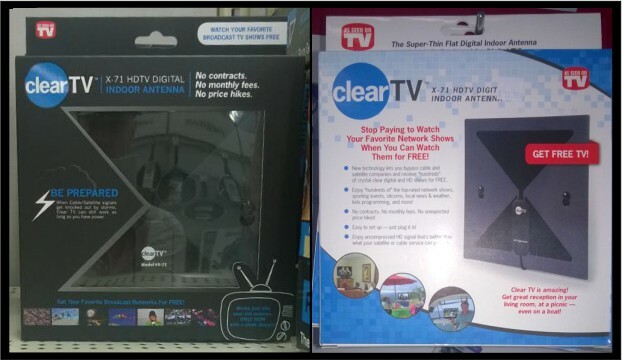 I have not seen Clear TV Plus in stores as of January 2016. It is unclear how widely available that product is. 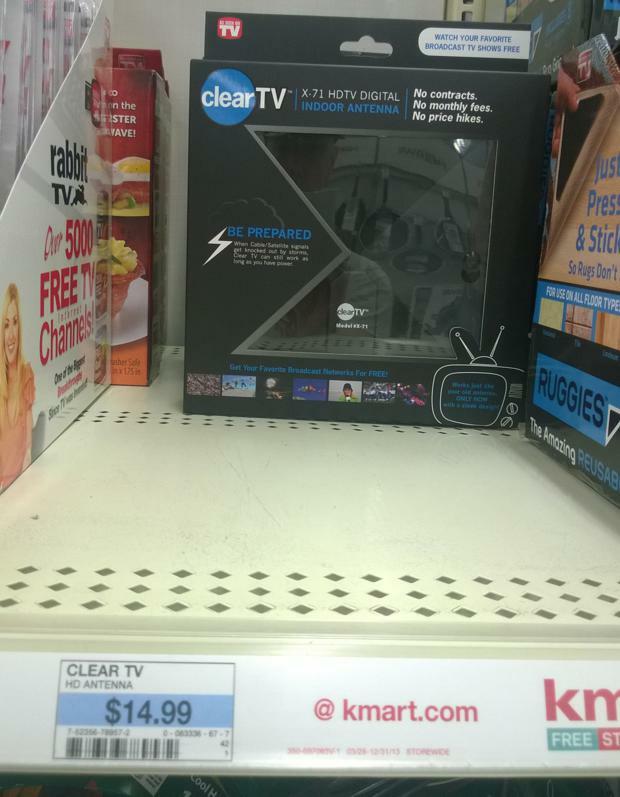 Below you can see a display for Clear TV at a KMart here in the Las Vegas area for about $15. It would appear that despite over a year of reviews blasting the product as just an ordinary antenna, the item still sells well. There were only two left at this location. The only reason I’d pick Clear TV over a pair of rabbit ears is because it does look better, but there are other similar designs to be found in person, too. Clear TV is marketed by Tristar Products, who also markets such products as Genie Bra, Fusion Juicer, Flex-Able Hose, and Perfecter Fusion Styler. I can say with absolute certainty that Clear TV works in the same manner as a standard television antenna. No better, and no worse. It does not pick up cable-only channels such as ESPN, A&E, or CNN – but only those channels which are broadcast locally in your area. These typically include the major networks (ABC, CBS, NBC, FOX) and any other local stations that may be nearby, including public access channels. There are now three products in the Clear TV line. All of them function the same in that they are simply standard television antennas. Clear TV Plus offers a slightly larger size, which increases its reception radius by about 5 miles. It also features a black/white design which allows you to match it to your decor easier. Clear TV Key (aka Free TV Key) plugs into the back of a television and remains out of sight. It doesn’t allow you to maneuver its placement, which may limit its optimal use to larger cities where broadcast towers are nearby. I’ve followed the advertising for Clear TV dating back to mid-2013, and there has been an interesting evolution in how it has been marketed. At first we saw the ubiquitous “Clear TV” guy on his boat, as seen in the commercial above. Then in early 2014, actor John Amos (of “Good Times” fame) briefly acted as the product’s spokesman. Amos soon disappeared, to be replaced by the “Clear TV” guy again. By September 2014, the “Clear TV” guy also disappeared from the official website, which has a more sleek look than before. It no longer boasts the generic “As Seen on TV” look it had a year ago. The Clear TV guy is still associated with the brand, however, as he can be seen in spots for Free TV Key, aka Clear TV Key. By mid- 2014, television commercials for Clear TV largely disappeared from English-speaking audiences, although it can still be seen advertising on Spanish-language channels with the website compracleartv.com. Ads for Clear TV can also still be seen running on Google as of early 2016. 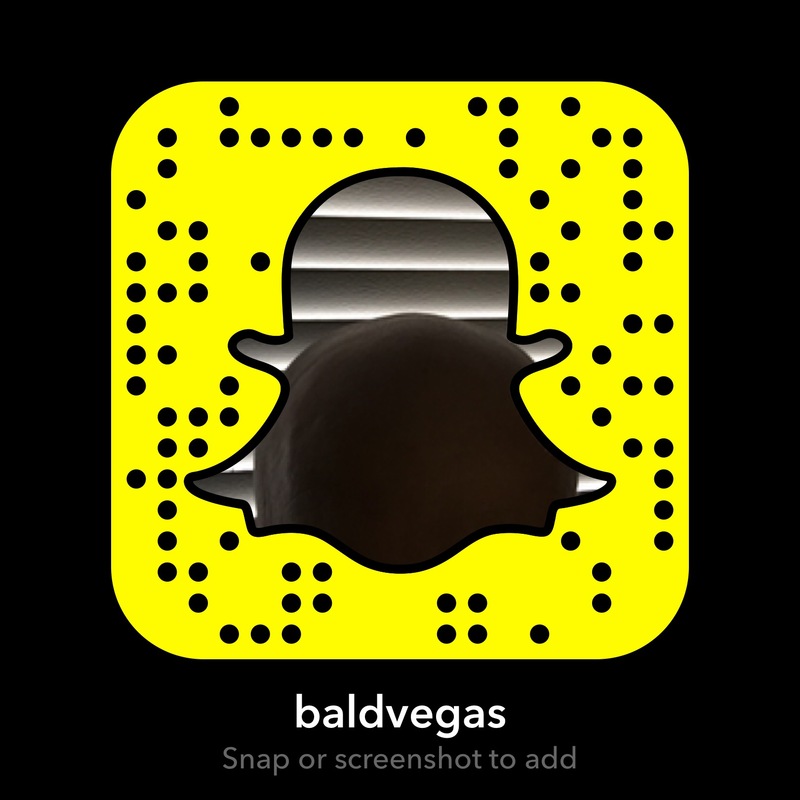 Below is a short video in which I summarize the review presented here. If you’re looking for a stylish set of rabbit ears, pick up a Clear TV antenna locally for about $15. If you’re looking to replace your cable box with a high tech “HD” antenna, that product doesn’t exist in Clear TV or anywhere else for that matter. While it’s true that with Clear TV you’ll have no contracts, no monthly fees, and no price hikes, you’ll also have no cable channels if this is your only means to receiving television broadcasts. Read more about Clear TV at wafflesatnoon.com and freakinreviews.com. Catch Caddy Reviews: Does it Work as Advertised? Twist A Plug Reviews: Does it Work?